Old and expired listings are used for networking, identifying people with whom you might do business. Anyone who does not wish to see older listings does not have to. Anyone who does not wish to see older listings and who prefers to see only the latest 30-60-90 days new postings, can now do so using the new Age Field to set the time. (As of 2014) See www.iciworld.mobi for instance for the date field. Also default settings in the ICIWorld Apps are set to three (3) months. See Apps. They also contain the new Age Field. All listings, Haves and Wants are dated. There are 50-150 new listings daily to 20,000 subscribers of various EMail List Servers . . . daily! Free to subscribe to get the dailies. Use the Advanced Search tool and use "Date of Listing between" to set dates. Click on Latest to get up to the second listings, Haves and Wants. See Search. However many of the transactions reported started from networking with others. 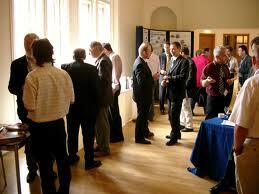 The contacts and interest of people were identified by new AND older listings, Haves and Wants. The parties developed good business relationships that led to doing business both on and off ICIWorld. People on this service have done business on 3-5 year old listings and although not common has made some members a lot of money. If we had of removed these listings arbritrarily these member brokers would not have done those deals. So now with the new age field everyone can have the best of new and old. Note: real estate boards maintain older and expired and sold listings. 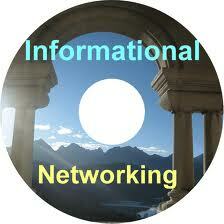 So does ICIWorld for postings for reference and historical and networking purposes. Only Executive Members have access all the listings on ICIWorld both in Database 1 and Database 2 FSBO's. 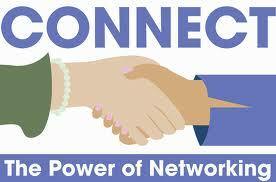 See the Value of Networking. It is really the people behind the service that are important. more . . .
Why are old and expired listings maintained on the system? Can you get into a Daily Webinar Workshop and bring this question up? Search Active Listings Only if you wish. Here is the form to: Search Advanced Advanced with Contact Information. Secondly you personally do not have to look at old listings such as 3 year old listings if you do not want to. Once you have searched listings, you can search the Latest Listings Only because there are lists that are sorted by latest listings first by date. It is literally up to the second with 50-100 new ones per day coming in! That way you have up to the second information. It is this Latest Listings First choices that you should install on your Blackberries, iPhone, etc. depending on what interests you. If you want the latest apartment buildings add that to your home screen. If you are in a city make that city a link. If you want tenants looking for space add that to your home screen. if you want a key word add that to your home screen. Examples for Canada Key Word Searching or any link at www.iciworld.ca Find any kind of business within 5 seconds. USA choose any link at www.iciworld.us Up to date latest information at your fingertips. iPad and Playbook users place www.iciworld.us USA or www.iciworld.ca Canada on your home screen as it fits nicely. You can search by date: choose your own limitation 30 days, 60 days, 6 months, one year, set your own date you make the choice. Search Advanced with Contact Information. There is a reason why we maintain the database and give you the choice instead of us arbitrarily deleting listings after 90 days for instance on your behalf. This is a networking service not a listing service like a real estate board but more like the classified ads of a newspaper. Ads identify people with whom you can talk with and whom you might do business with. We will not delete old listings as they become a resource of contacts for those who wish to prospect. But we allow you to ignore them if you wish as you can search strictly active listings. Everything is also dated as well as having a status. Past ads also identify people with whom you might do business. If you identify an individual in a certain city that does a certain kind of real estate through an old listing, can that not help an interested person? 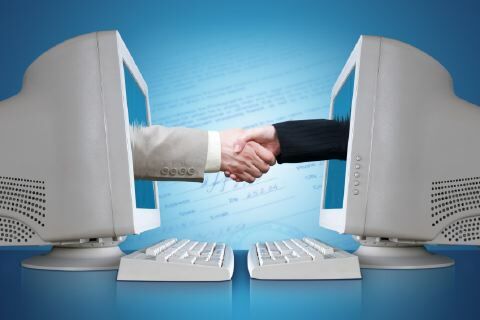 Indeed virtually every member on the service makes connections to do business or you call us. It is the people behind the listings that are important. If you called someone who had a shopping center one year old and it was sold, can it benefit you to find out how much it sold for? Is it possible that because this person deals in shopping centers they may know about others not on the service? You follow up and do business. Is it possible that if you develop a good business relationship with that person, that if they get another shopping center for sale three weeks from now, and they remember that you were looking for one, they may call you back and tell you about it? You follow up and do business. In one month studied last year, 44% of the deals were done this way, where someone called on a listing that did not suit the person, but the two parties discussed other things not on the service and went off and did a deal. Regarding Wants. A "want" is also a listing on ICIWorld. One may have a listing one or two years old or five years old, but that buyer can easily be a buyer for life for that real estate salesperson. We had an $18,000,000 quarry at one time that was three years old. A broker had a buyer and made a connection for that property. If we had of arbitrarily deleted that listing, that broker would never had a chance find out about that property and to do that sale. In other words it is the people behind the listings with whom networking is important. Now that is not to say that you should be prevented from searching strictly Active listings. You do that by searching listings at www.iciworld.ca where they are active. You also have a choice to have just Active Listings in the Ontario Commercial button on your web site. In other words there are two choices, one that has Ontario listings that are just active, OR . . . one that has all the database in Ontario including active, expired and inactive. For members web sites, this one has twice the listings and twice the opportunities to trigger calls that many brokers prefer in order to get the lead in the first place in order to have an opportunity to help people. Sorry it was so frustrating for you to this point. After all is said and done, ICIWorld is still like a gold mine. You still have to get through some dirt to get the gold. However it is not like residential services, or any other services in the world. It is really built for networking. We have feedback for instance from brokers of gas station buyers, who go back to the oldest listings first to network. It is the owners who have sat the longest trying to sell their properties who are more likely to consider taking back and mortgage or sell more reasonably in some cases that ones who just put their properties on the market at retail. You will see some all this at work in some of the testimonials on ICIWorld. Once you have gone through the database may we suggest you get the latest listings in a daily digest. That way you have the latest ones up to date. May we suggest if you have an iPhone or Blackberry you have a link that produces the absolute latest up to the second listings and the push of an icon on your device. That way you have the information of an industry, local AND world wide, up to date, up to the second, at your fingertips. May we demonstrate how to use the Advance Search Features, by date, and status and other important key word searching functions? Your feedback is appreciated and thankyou for the opportunity to respond to you. Member response: Great answers. Thank you! How To Search Advanced Advanced Search Method for Database 1 and 2. NOTE: Give the video time to load and start playing. Watch your hard drive light and you will see that it is working downloading the movie. If you have the latest media player, it should start streaming after a while, while it is downloading. For others you may have to download it and then play it. Some of our larger movies such as a seminar take two hours to download. Be patient. Do something else while it is downloading. How to Search Database 1 Haves and Wants placed by Members of ICIWorld. See Who Can Join. There is a field called Status: choose Active if that is all you wish. There is a date field to use, however most are happy with Active Listing Status. If you sort by Date or Default you will get the latest listings first. Four things everyone should do to make a connection or you can easily miss doing a deal and not realize it. 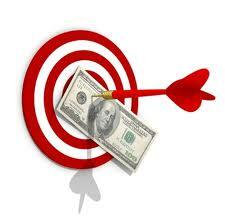 Assistance for members provided daily by way of World Wide Webinars for members all over the world. Once trained you should only need to be brought up to date on new features and services once per year for an hour or two and an annual checkup consultation to ensure you are taking advantage of things and do not have a material defect in your membership. See Our Pledge.